“With A Voice Of Singing” – another great success! 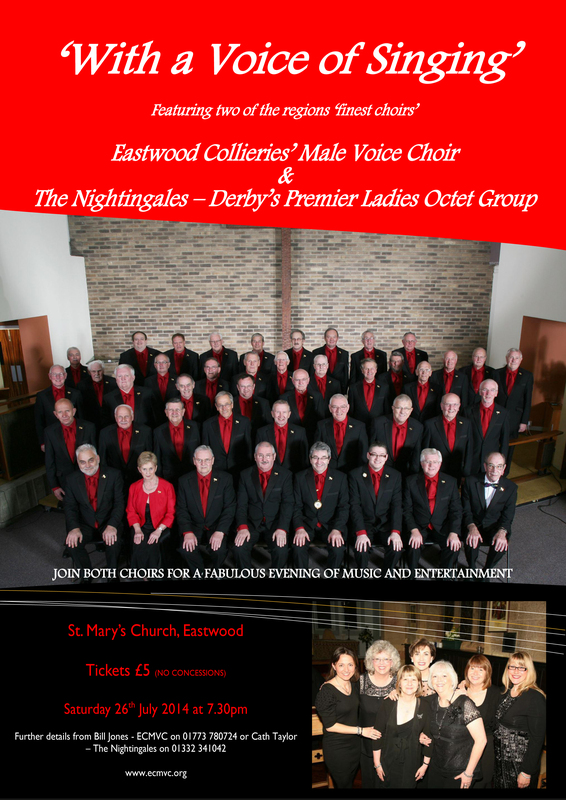 “With A Voice Of Singing”; another great evening’s entertainment from ECMVC and very special guests, The Nightingales. The audience were treated to a varied programme and gave both choirs a standing ovation at the close of the event. The audience clearly agreed to the claim that ECMVC were the ‘pride of Eastwood’.